‘I’ve written about how statist policies help the rich and hurt the poor. And I’ve also pontificated on the destructive and foolish subsidies dispensed by the execrable Department of Agriculture. Now let’s mix those two issues (though I hasten to add that this isn’t like math…two negatives don’t make a positive. 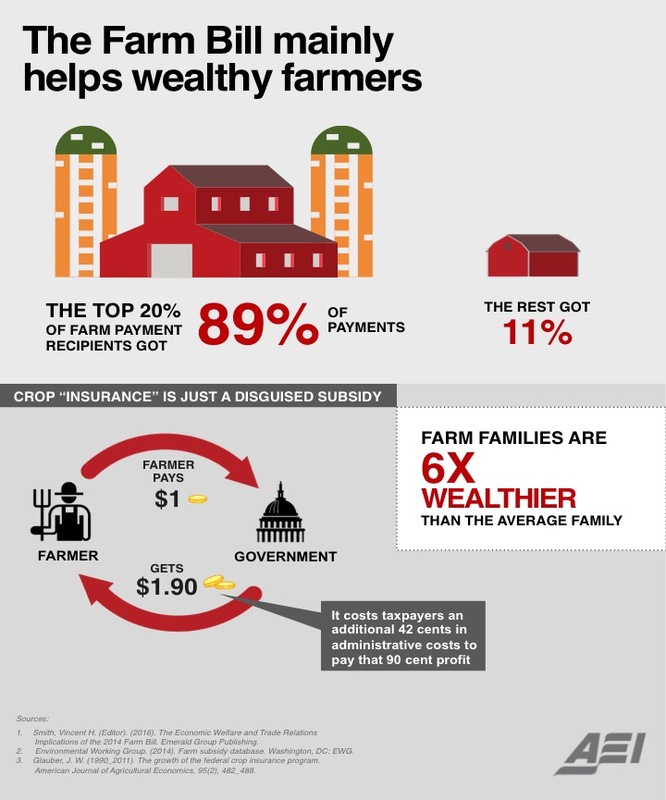 Here’s an infographic from the American Enterprise Institute showing how farm programs are a (yet another) perverse example of poor-to-rich redistribution. This entry was posted in Political_Economy and tagged welfare_state. Bookmark the permalink.